Call and Try Out a Class 860-683-2286. What We Have Going On!! Help Raise Money to Aid in the Fight of Children’s Cancer! The week of March 25 - 30 we will be participating in a cartwheel-a-thon to benefit Alex’s Lemonade Stand. ASGA’s goal is to raise over $1,500 for Alex’s Lemonade Stand to help fight childhood cancer. Place donations in an envelope with the child’s name on it, along with the fundraising sheet. All checks should be made out to Alex’s Lemonade Stand, Inc.
$215 for the entire week (Also, a one-time $20 registration fee) *Full day campers must bring a lunch and 2 snacks every day. $160 for the entire week * Half day campers must bring a snack. **Early drop off at 8am and late stay to 5pm available for $5 per service per day available for all camps. All Stars Gymnastics Summer Camp is licensed by the Connecticut Department of Health and we provide staff that love children and also have a lifetime of experience working with children. Our camp staff are trained to provide each camper with a fun, active, well supervised and safe camp experience. Essential staff members hold American Red Cross CPR for the Professional Rescuer certifications and have received training in the following: Epinephrine Auto-Injector, Blood borne Pathogens, Asthma Inhalers and Standard First Aid. ***Please register AT LEAST 2 WEEKS prior to the week you want your child to participate in to ensure you have a spot. For more information and to download forms click here. Pre K Open Gym Friday Mornings! All participants must be accompanied by an adult. Open Gym is a great way to have fun in the gym, perfect current skills and learn new ones. All Stars Gymnastics offers Open Gym on the following Saturday afternoons listed below. 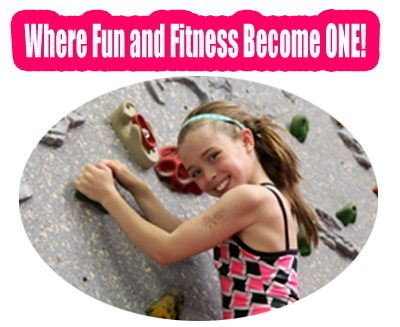 Cost is $10.00 for member's $12.00 for non-members. Open gyms on Saturdays are for ages 6 – 18. Call and Save Your Spot TODAY! Come out and learn a cartwheel by putting your best foot forward. ~ call or email to reserve your spot! This clinic is open to AAU, Level 2 Team, Level 3 Team, Cheerleaders, Dance Students and Preteam.